→Is UV Light Important during the Flowering Phase of Marijuana Plants? 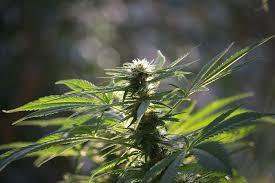 Marijuana plants can grow best under the natural sunlight. Weed plants can grow very tall outside, depending on the duration of the growing season and the amount of light that the plants will be receiving. In places where the climate is cold such as in areas of Northern America, the size of the cannabis plants produced are not the same as those grown in countries where sunlight is intense. Considering that, why is indoor pot growing is preferred by many? Growing marijuana indoors brings a lot of advantages. Even with the absence of sunlight, still, there are several pot growers who choose to grow weed in this type of environment. Indoor cultivation is the answer to the lack of sun during winter months. Do not forget that light is one of the basic needs of marijuana plants and without it, the plants will not grow very well. UV light is necessary during the flowering stage of weed, depending on what kind of port cultivation you want to do. The addition of UV light during the budding phase of indica marijuana varieties resulted in a slightly more up high. On the other hand, the sativa varieties show a lot of improvement when it comes to THC. 1. Aside from the fact that it is easy to find and is cheaper than any other light sources, UV light will help improve bud production. 2. If UV light is used, it will help induce the early formation of trichomes. 3. It is preferred by many pot growers having a limited space indoors because UV light is small and versatile so you can just easily install it. Aside from that, it will also greatly help in producing heavier buds that are high in THC. 1. Working in an indoor grow room, where UV light is used, can be disgusting at times. Every time you will perform some work around the pot garden, you need to switch the lights off. 2. Do not look directly on the UV light because it is harmful to the eyes and may cause blindness. There are different types of lighting sources for indoor cannabis growing that you can choose from. Insufficient light in the grow room area will result in tall but thin marijuana plants. Some growers are using UV light to replicate the natural sunlight. It is best used during the blooming period to increase the potency of the buds.